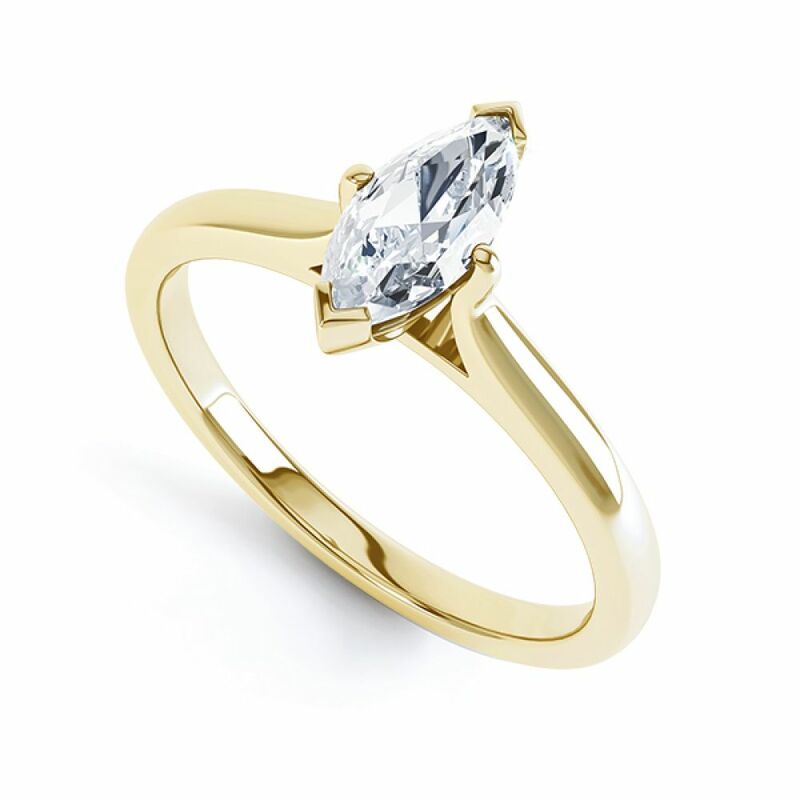 The Irisia Marquise diamond engagement ring captivates with modern styling and a wedding ring friendly setting. 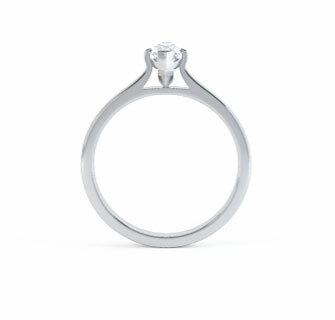 Flowing from a 2.5mm wide comfort-fit band, tapering shoulders rise towards a four claw setting to hold a beautifully shaped Marquise cut diamond, available in a wide range of diamond sizes with a choice of diamond colour, clarity and carat weight. Styled with a Wedding Ring friendly setting, the Irisia design is a Marquise Diamond Engagement Ring which combines modern styling with elegance. Select from a wide range of Diamond colour, clarity and carat weight combinations. Your Diamond will be securely set within a four prong setting, with "V" claws to define the distinctive Marquise shape of the Diamond. 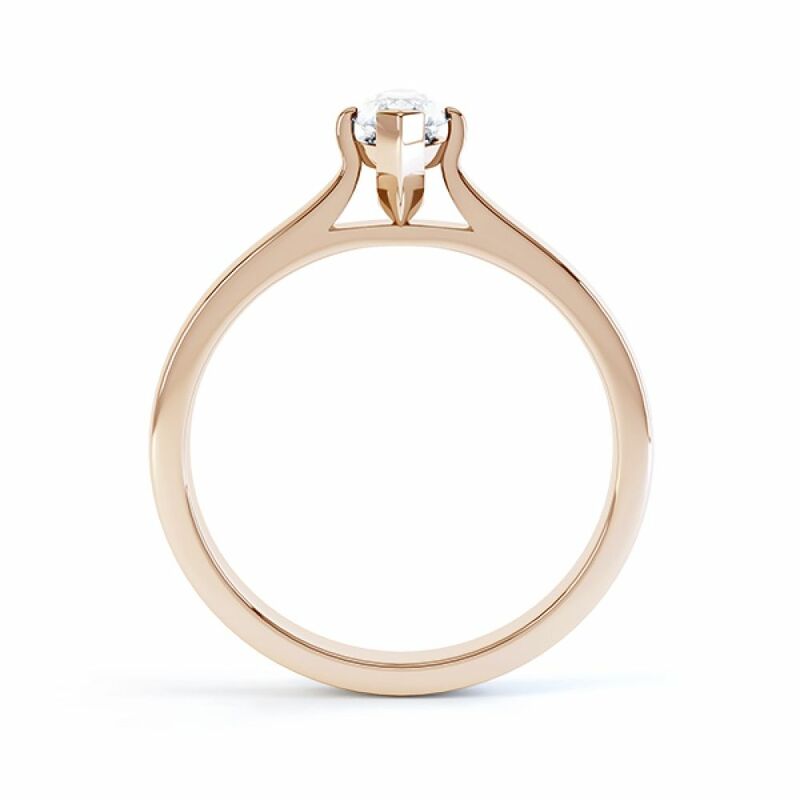 The 2.5mm wide court shaped shank provides the perfect band for daily wear. Combine this exceptional ring design with a straight, plain or Diamond set Wedding Ring. The Wedding Ring friendly setting allows a perfect flush fit alongside. 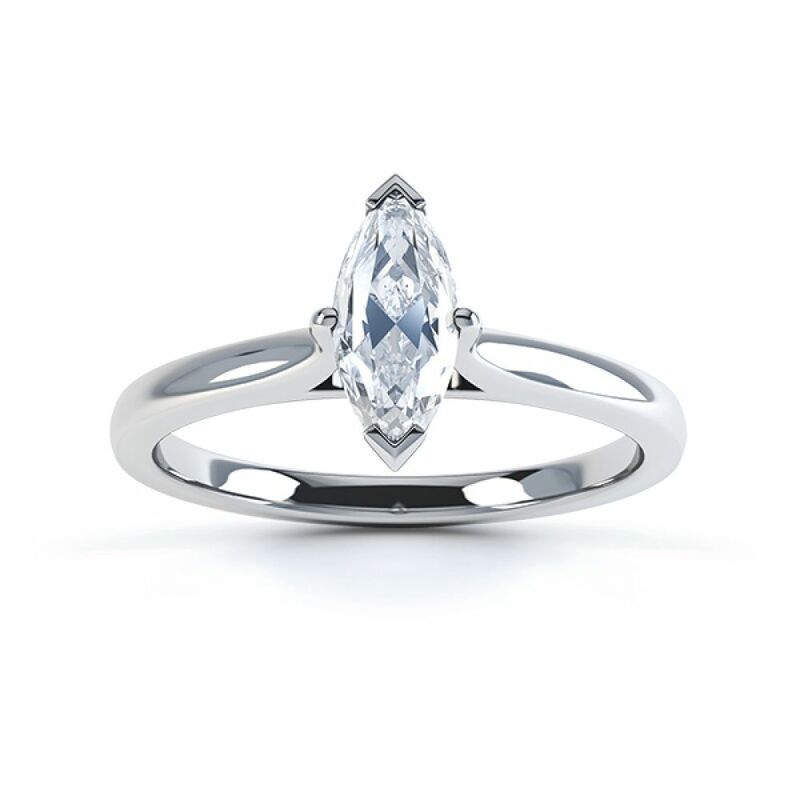 This elegant Marquise Engagement Ring is just one of many Marquise Diamond ring designs available at Serendipity Diamonds. Please allow 4 weeks for this ring to be crafted. Once completed we will hand deliver the finished ring by secure courier to your door with Worldwide delivery available from the UK to many destinations worldwide. Service rating : Excellent service. Mark was very helpful, easy to contact and talk to and I want to say a huge thank you. I would definitely recommend and will certainly be back for the wedding ring. Product : Dazzling, perfect. Just need to ask the big question now. Thank you again.